Growing your own fruits and vegetables can be a great way to grow your own food and learn something new and fun. One of the easiest and effective ways to plant your own vegetable garden is the square foot method. First popularized by Mel Bartholomew, square foot gardening aims at growing more food in less space using specific soil mixes in small sections of raised beds. Grids are usually 6” deep and measure 4’x4’ and are further subdivided into 1’x’1 squares. Square foot gardening is a smart, intensive and economic approach to growing food in your own backyard. 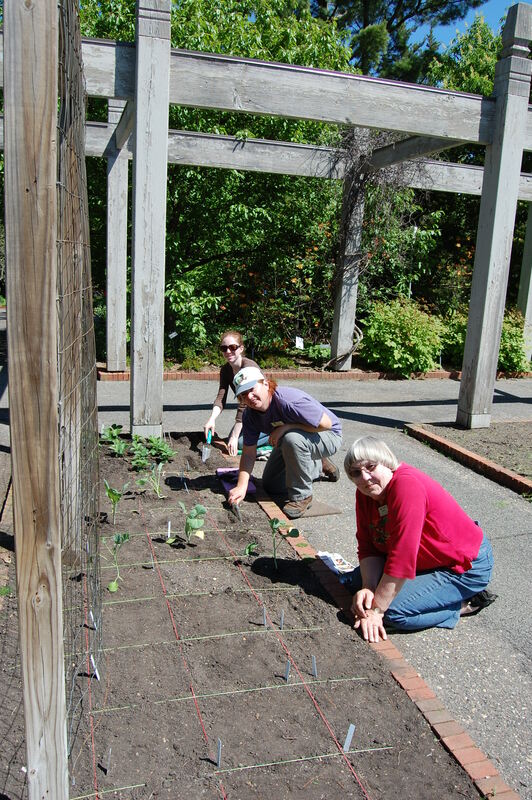 Come check out Minnesota Landscape Arboretum’s fruit and vegetable square foot grids at the Home Demonstration Gardens! 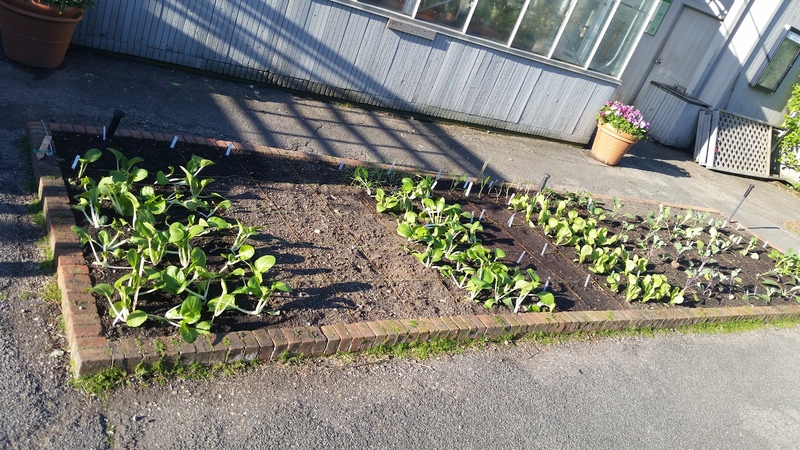 Landscape gardener Ted Pew and volunteers have planted multiple varieties of plants including onions, strawberries, asparagus, broccolis, beets, cauliflowers, and peas. “Each 1′ grid has approximately 4 to 8 plants depending on size and variety and should be ready for harvest in about 75 days,” says Pew. Over a dozen dedicated volunteers work in the gardens Monday through Thursday and contribute several hours of quality gardening. Keep checking our blog for more updates! Square foot gardening is a great option if you are just starting out with gardening or have limited availability of space or would prefer an easy-to-maintain method to follow. If you’d like more information about building your own grid or planting your own square foot garden, you are welcome to visit the Arboretum and talk to a master gardener!